From HVL Main Gate, L on Alpine past Golf Course a few miles to R at second Sandamont, property on L.
Transitional ranch w/great curb appeal, nestled in trees on 3 lots w/greenbelt in rear. Open flr plan, kitchen w/granite countertops, bkfst bar, pantry & Lg adj. Dining area, Luxury Main flr Master. 3 Season Room w/wooded views - Extremely private. 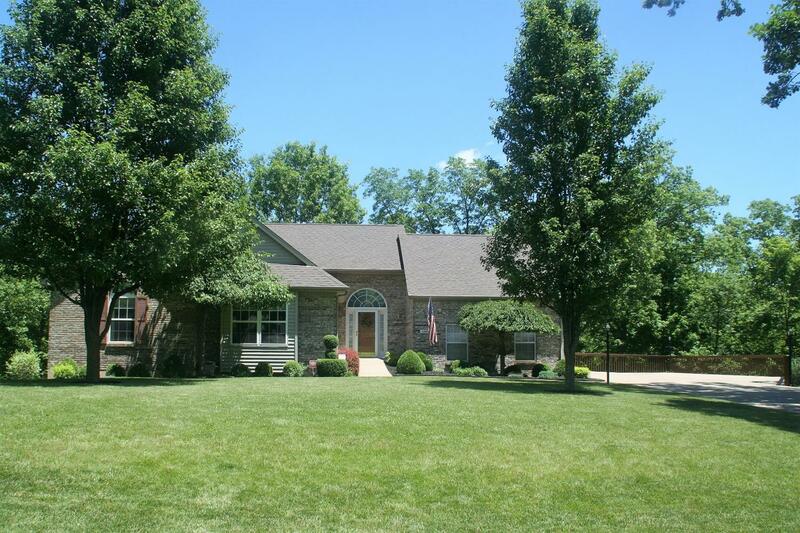 Finished Walk-out LL features 4th BR, Lg FR w/wet bar & awesome storage. Covered deck off LL. NOTE: This property was sold on 3/30/2018 and is no longer available. The details listed below are believed accurate to the date of the sale and are subject to change.